Pop Some Mom Love in the Mail! 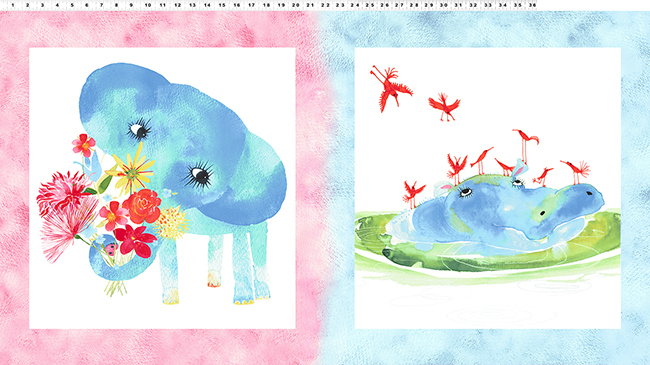 We might be biased here at Studio Masha D’yans, but we don’t think it’s quite as glum as all that! 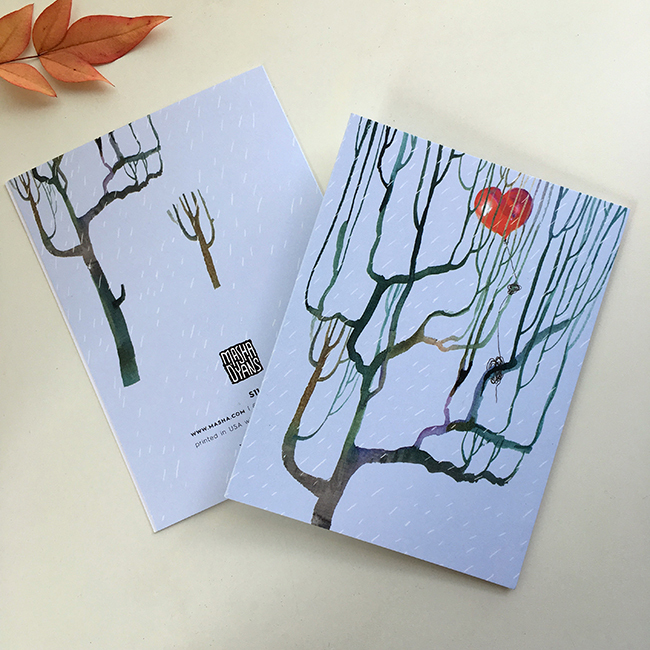 In fact, we think of sending a greeting card as a radical act of love! What used to be common (sending a letter through the mail) is long considered to be quaint. The act of mailing a card through the postal service can be fun, personalized, and might just make you feel like a kid again. 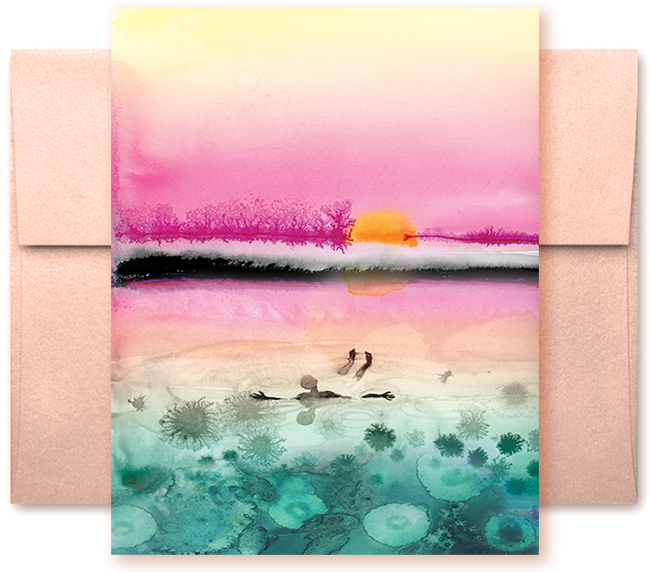 When it comes to greeting cards, tenderness and affection can be found in the ritual itself. In the time it took to choose one, to compose and handwrite it. In the sealing of the envelope, in the walk to the mailbox… in the joy that comes from receiving a thoughtful piece of stationery in a box that usually delivers bills or unwanted junk . 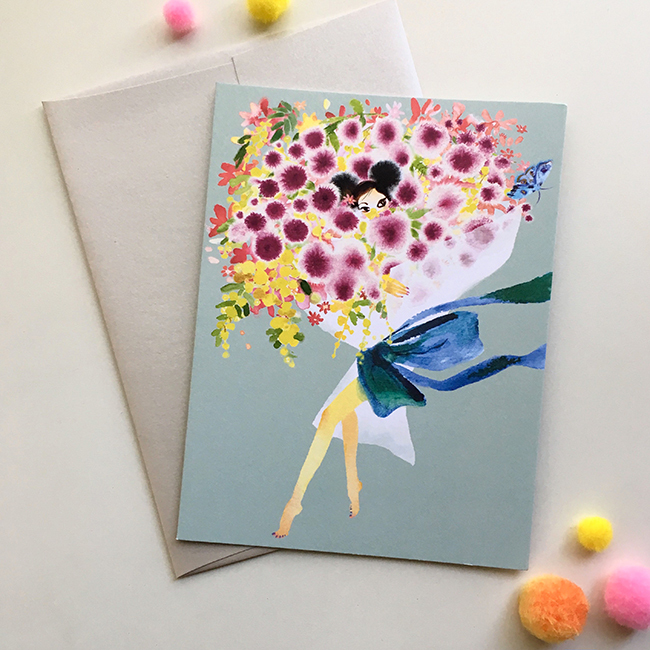 With Mother’s Day approaching, it can be tempting to think of a greeting card as a cliche… but choosing a beautiful, artfully-created card to express your love to whomever you call “Mom” — or someone who is missing theirs — is a classic that’s hard to beat. 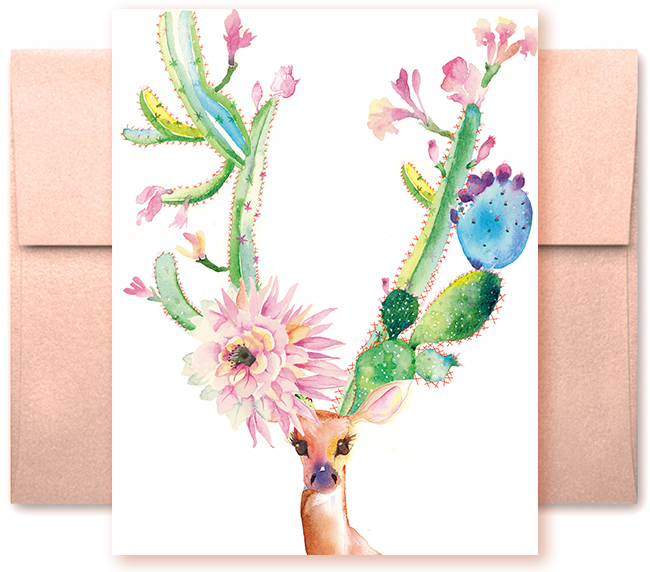 This bright-eyed, bushy-tailed desert friend is sure to lift Mom’s spirits and usher in spring! This dreamy sunset scene is sure to lull the mother in your life into a luxurious, pampering mood! Is Mom a cat lover? A music lover? Both? 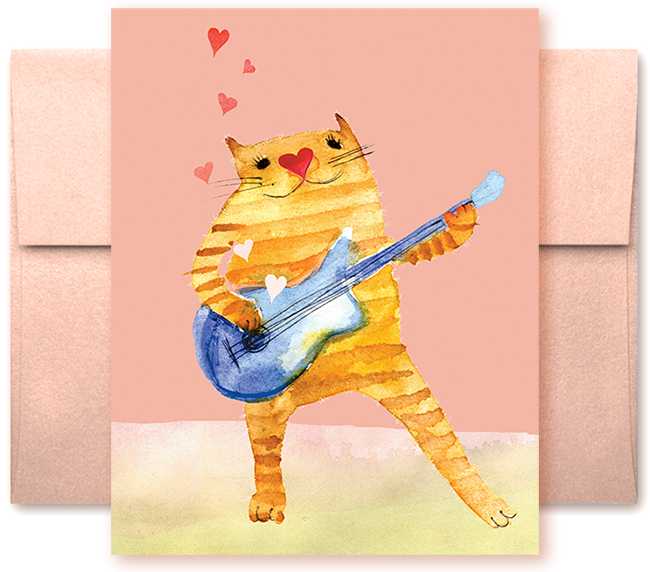 This jazzy cat is a unique, fun way to send some pep through the post. 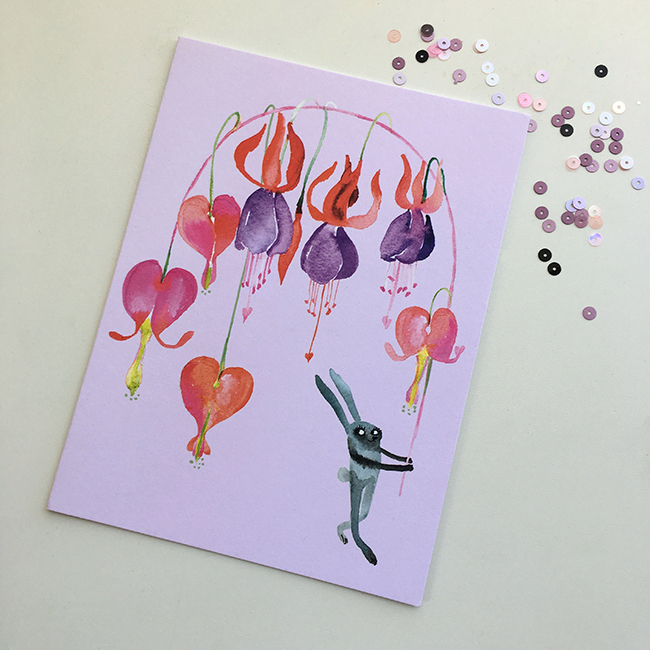 Pair our cards with few of our favorite gift ideas to make Mom’s day! 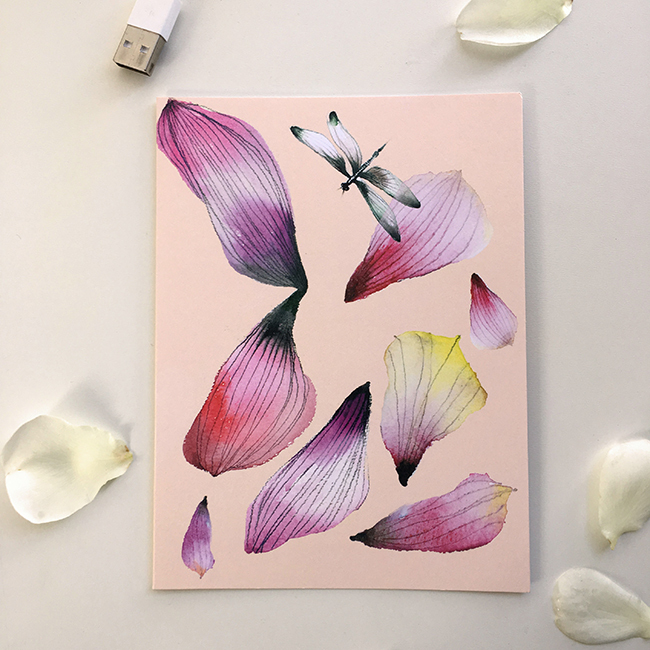 It doesn’t get more classic than flowers, and this company’s sustainable practices make this gift guilt-free and gorgeous. 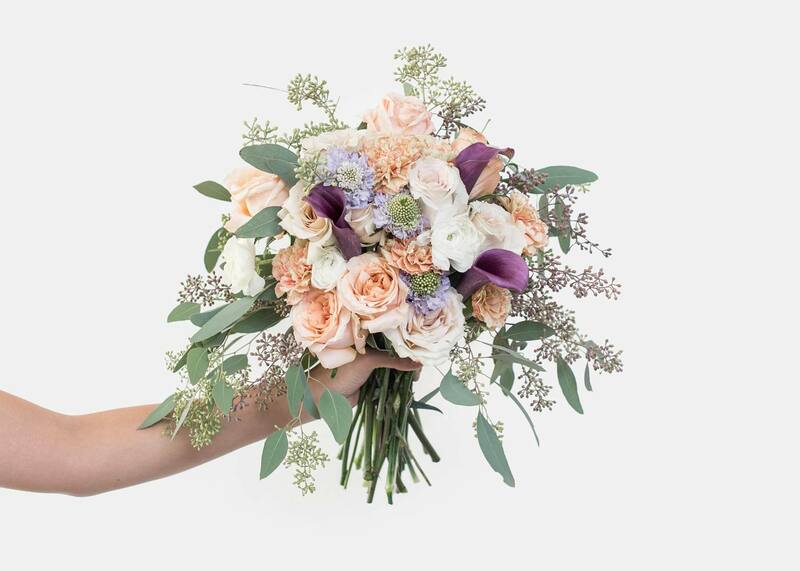 Sustainably sourced and originally arranged bouquets with limited edition offerings from featured designers and influencers. 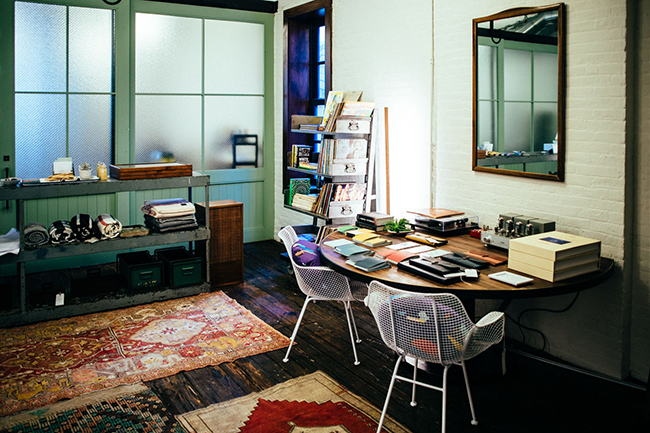 Nationwide shipments with same-day delivery available in NYC, D.C., Philadelphia, Austin, and Baltimore. Smooth, warm, and luxurious… with all the bubbly feelings of a night spent in your favorite black dress. 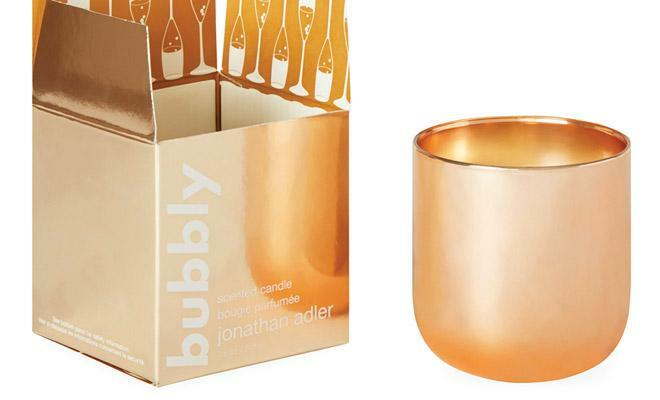 This candle is a classy complement to your favorite Mother’s Day card! Smells like: pink grapefruit, raspberry, French cassis, violet leaves, rose petal, and grape leaf. Feels like: New Year’s Eve, silk-satin sheets, a million bucks. 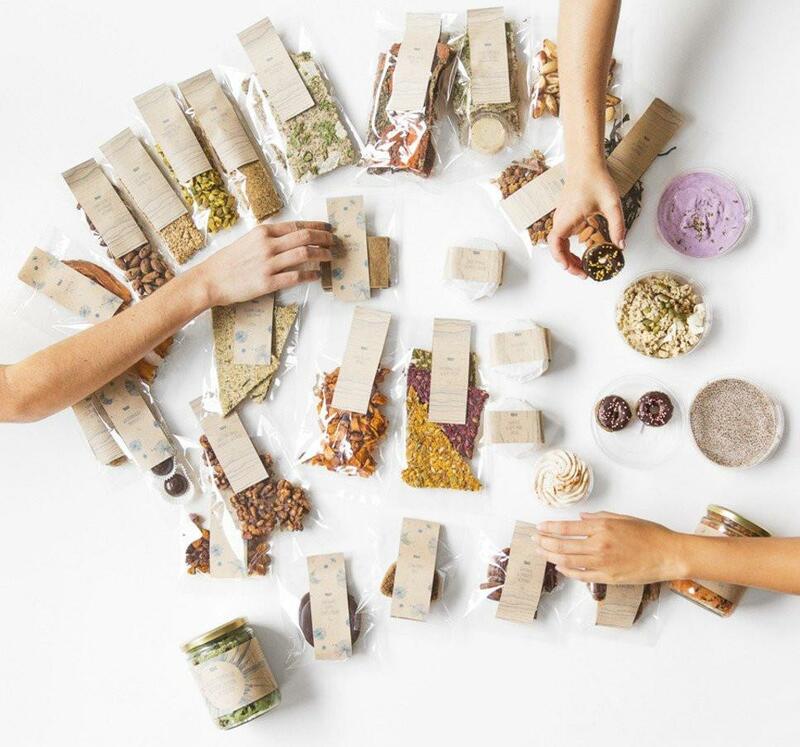 Pamper Mom from the inside out with this bounty of organic, artisanal snacks! nuts and fruits from our Cosmic Provision Collection. We hope that you all find love and connection this spring and Mother’s Day! In the spirit of Thanksgiving, we wanted to thank YOU, our customer, for all your love. It’s very mutual and we couldn’t do it without you! We hope you have glorious holidays! And now that the gift season is upon us. Here are some favorites from Masha and beyond to fill your stockings with. 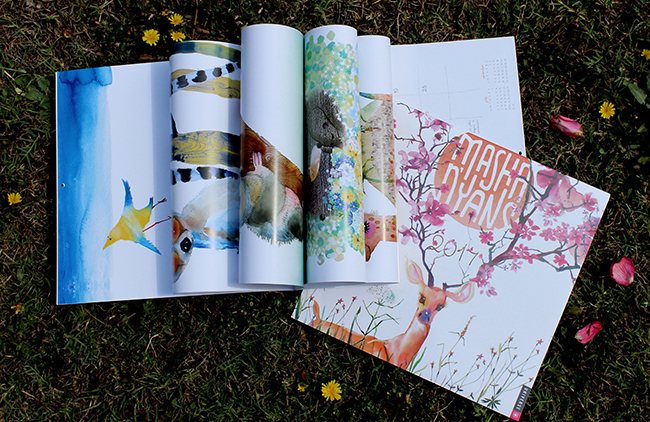 First and foremost, have you picked up our perennially popular calendar? 2017 is brimming with whimsical critters. It’s a gift that keeps on giving all year long! 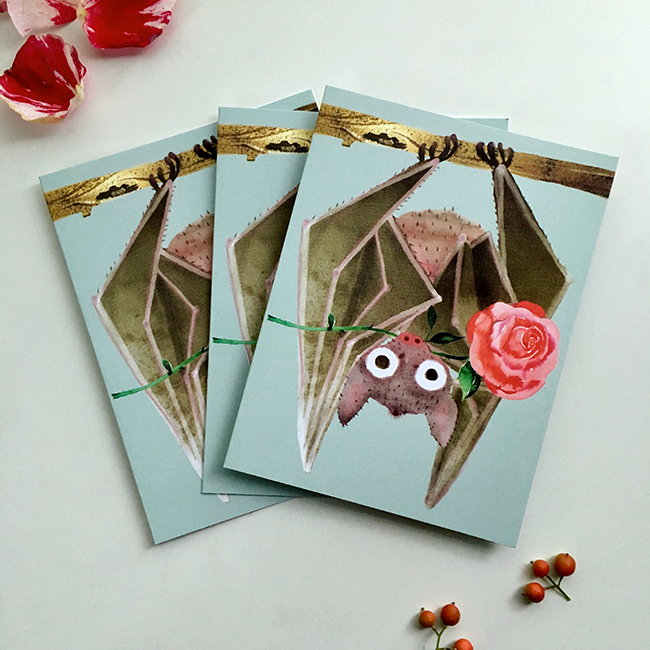 To compliment the cuteness how about picking up some animal themed gifts? 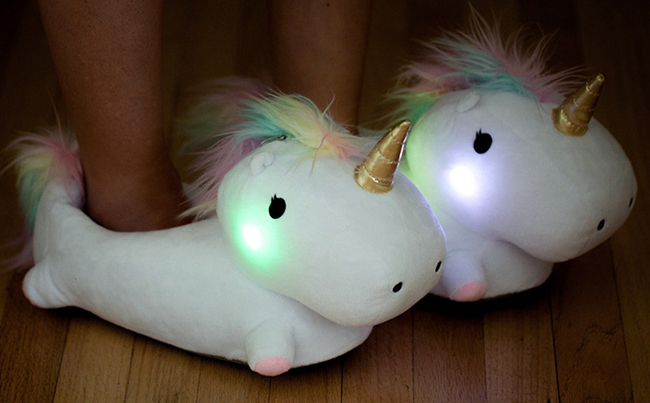 Forget Rudolph, these unicorn slippers from Smoko will light up your giftee’s way to the bathroom in a magical way. Wish we could wear an accessory this perfect everywhere. For the crafter on your list, we have Baby Gone Wild, new 100% cotton quilting fabric that can be used for all kinds of fun projects. 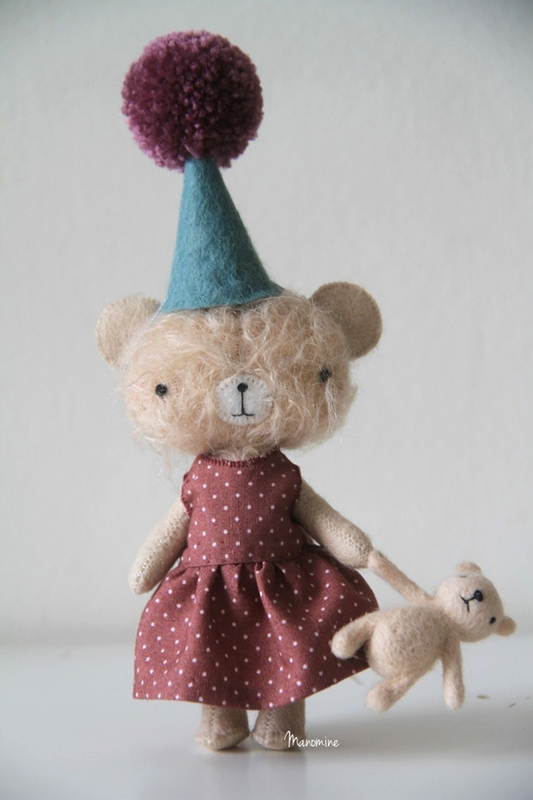 If you’re not ready to make your own plushie though, we’re in love with the felted toys by Manomine. I mean, c’mon! Winter is for snuggling at home with kitties and wine — everyone knows that. 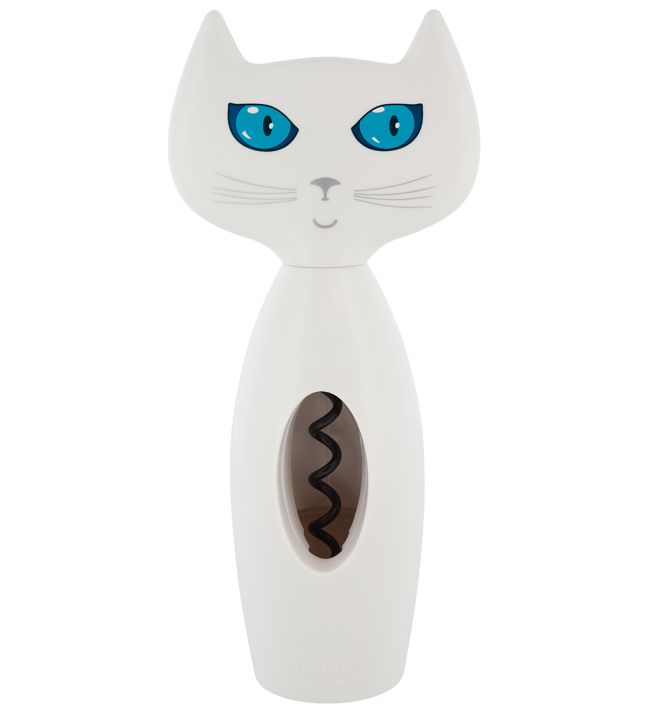 Get this purrfect corkscrew in black or white for the cat lover on your list. Tirebouchat Corkscrew, $16.80, available at Pylones. 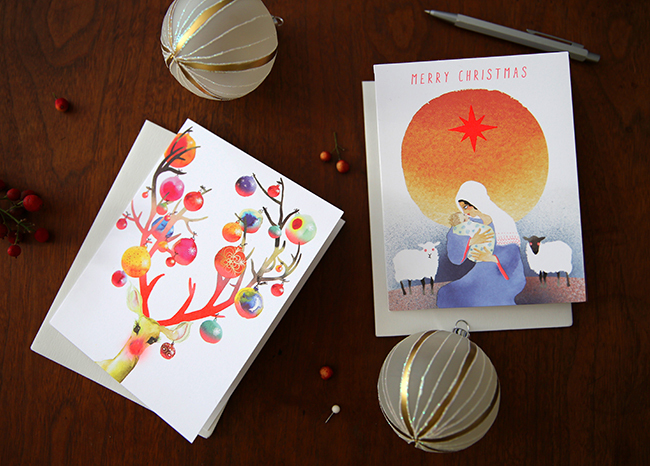 Of course, we got you covered for all your holiday cards needs, including 2 new ones featuring neon ink details. Hurry, they’re selling fast! Last but not least, for that post-holiday pick me up, we’ve got Color Me Enchanted, a lush coloring book of fairytales dropping January 3 (go ahead and circle that date in the aforementioned calendar). 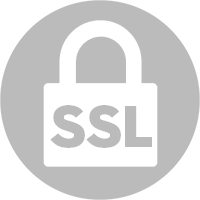 Learn more in our previous post. Don’t forget Small Business Saturday to support your favorite indie brands! 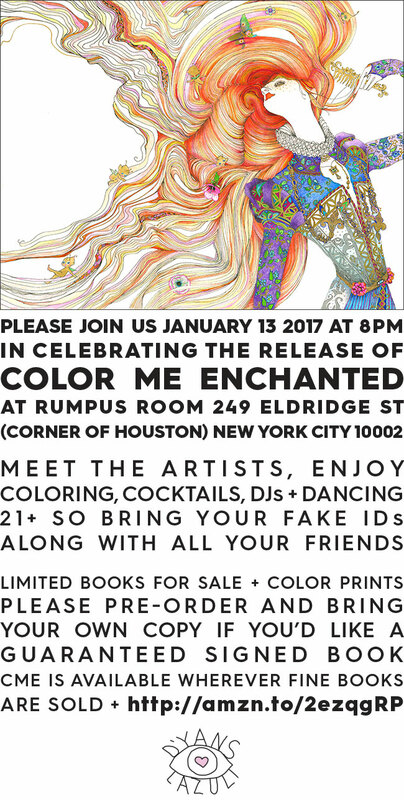 NEW: Saks + MoMA – a couple of sparkling Masha news for you this week! Now that Halloween’s over, it’s officially time to put your spooky costumes away and gather beautiful things for the holliday season. 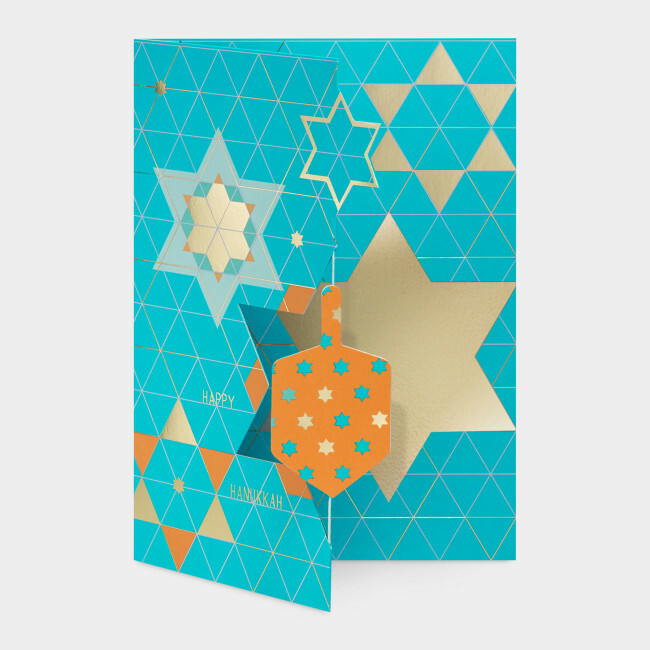 To help you greet in style, we have brand new cards for MoMA online in stores. 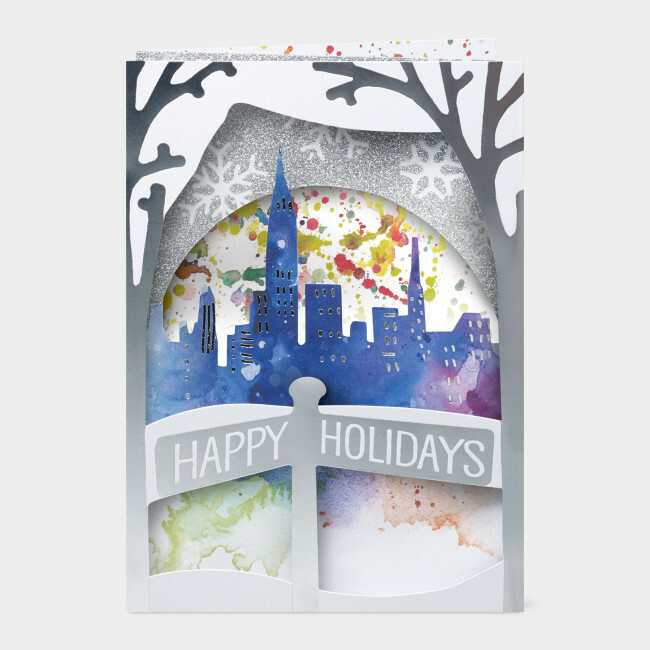 This Christmas / New Year season, Masha designed a pop-up watercolor city scene complete with metallic foil and glitter! And for Chanukah, she’s dreamed up a festive spinning dreidel. 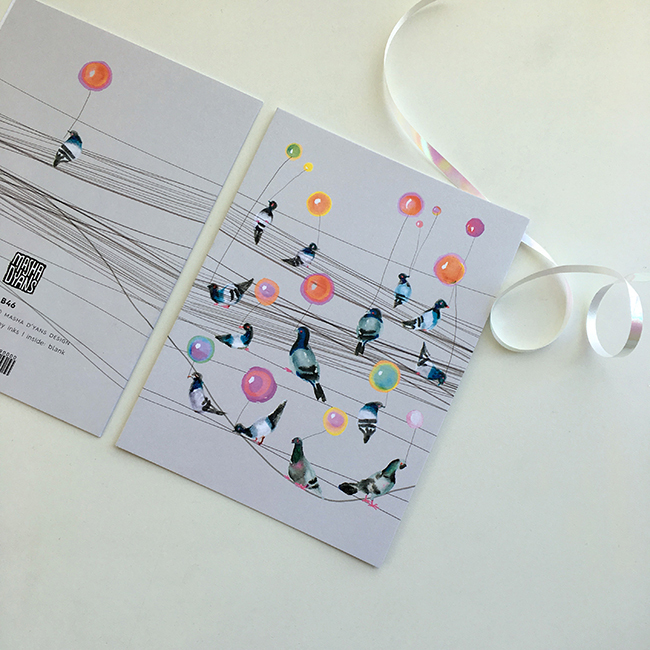 Please check these enchanting cards in stores in person or at MoMA shop online along with other feats of paper engineering from Masha. 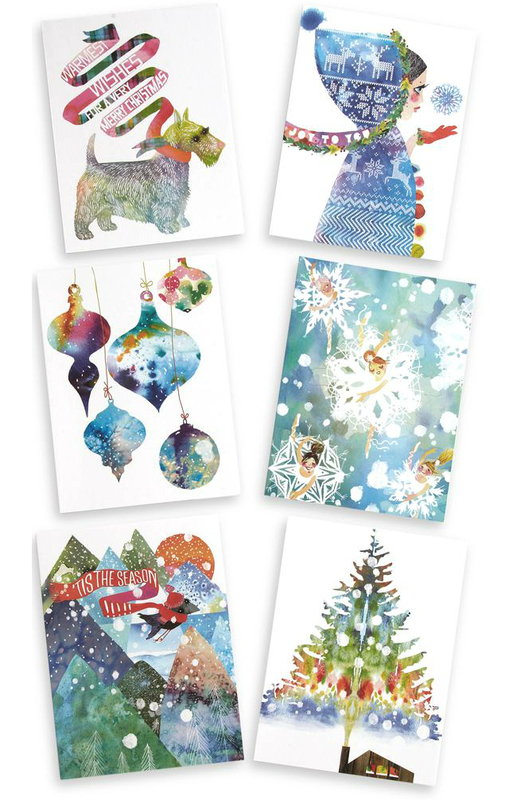 If it’s watercolor mischief you’re looking to share these holidays, Saks Fifth Avenue has new cards for holidays and everyday available in exclusive mixed sets. You get two of each design in a box for all your gifting needs. Check out the new designs as well as some classic remixes online and in the New York flagship. It’s hard to believe that 2016 is half way through… Enjoy it while it’s here in all its summer glory, we say. But to help you look ahead we’re happy to present a cheery new Masha Calendar 2017! 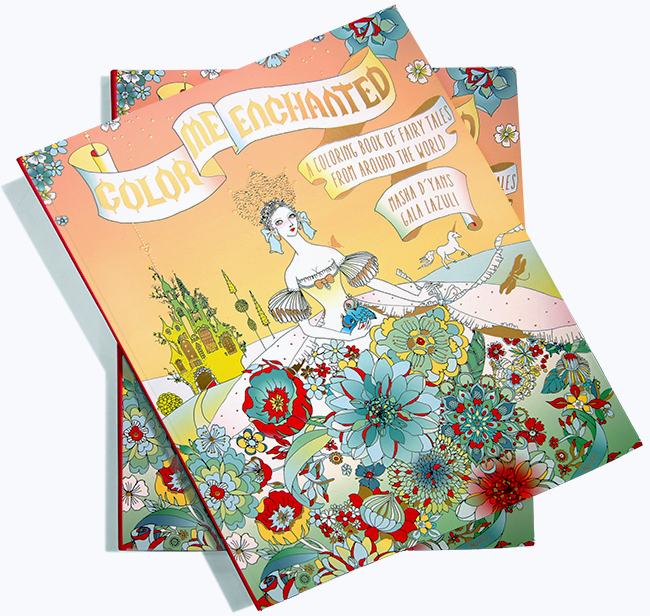 This time it’s bursting with adorable woodland creatures and other friends in wild places, painted with characteristic detail and colorful aesthetic. 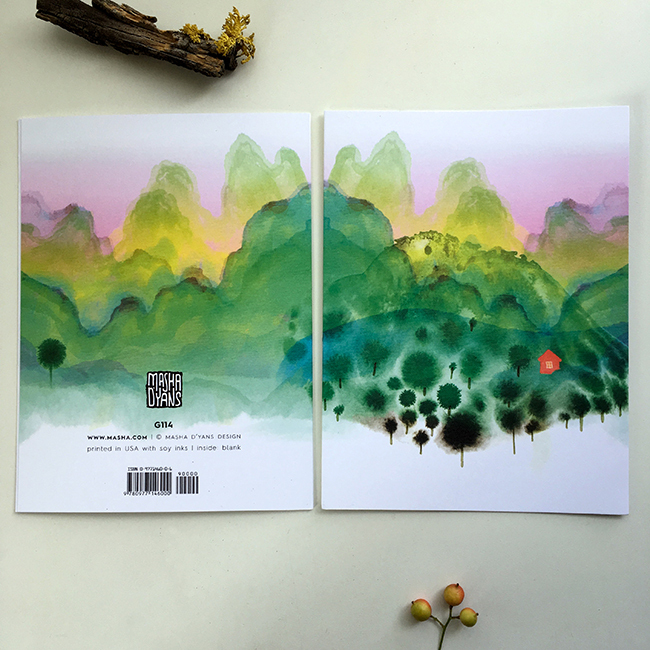 And our best selling blooming deer is gracing the cover. Look for your new wall companion in stores everywhere and online. Happy days! Summer is finally here! And now, with Memorial Day behind us, it’s high time to start celebrating grads and dads! Here’s our fave picks that work for either type of giftee in your life. 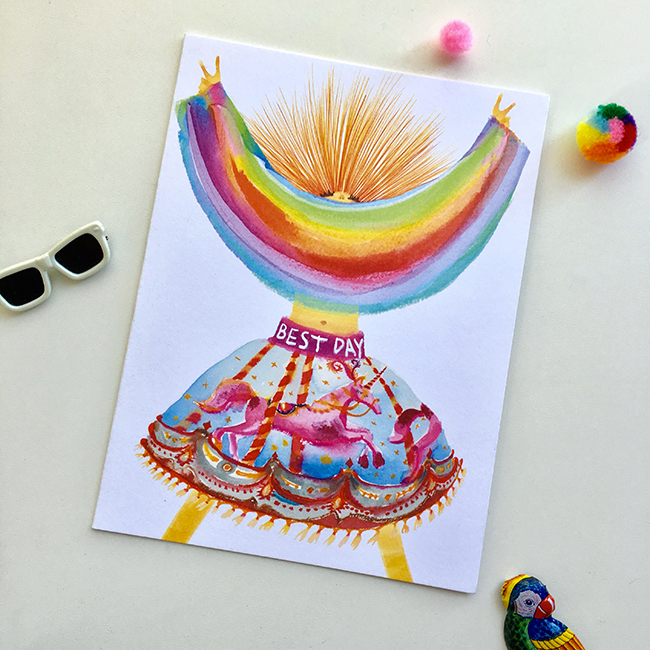 -ConGRADulate your grad with a colorful card from our new line – Eyedore! 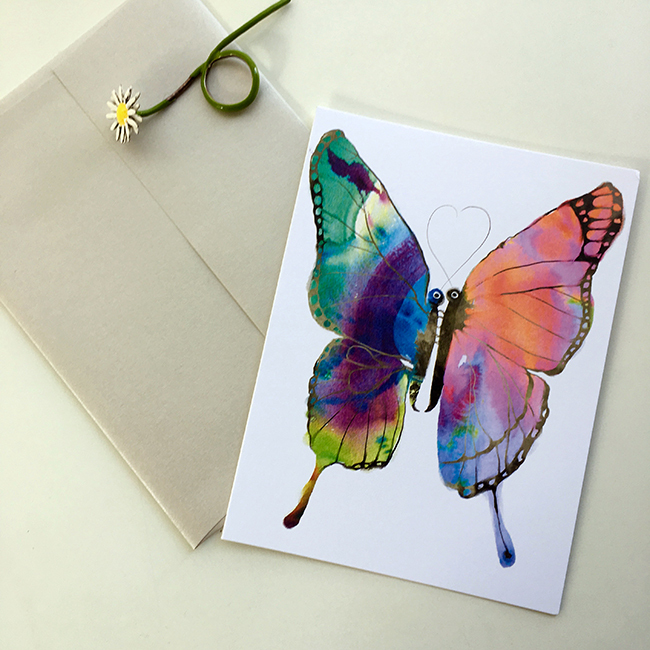 These paper eye candies feature brightly painted washes printed on watercolor paper and topped off with rainbow foil. Perhaps you’ll find something perfect not-Sent-from-the-iPhone for Father’s Day as well? -An elegant pen is handy for doing those crossword puzzles AND signing beautiful cards. Can’t go wrong with a classic like Mont Blanc Meisterstuck Le Grand. -Wearable tech is all the rage, and it’s no wonder, since having a more complete workout picture behoves everyone – from graduate to grandparent. Now you can track your calories, distance, duration, pace and split time with the comfortable Under Armor Speedform Gemini 2. The best part? You can leave you phone back at home. -A good messenger bag is a must for a job seeker AND a busy father. Sons of Trade makes a killer light-weight lined-felt version that we covet for its military vibe that compliments many an ensemble. -Finally, is there anyone who doesn’t enjoy a tasty treat? For dads and grads that like it hot (you know the type) Mouth offers A Hot Stuff Taster that’s not for the faint of tongue. It’s been a while since we wrote. 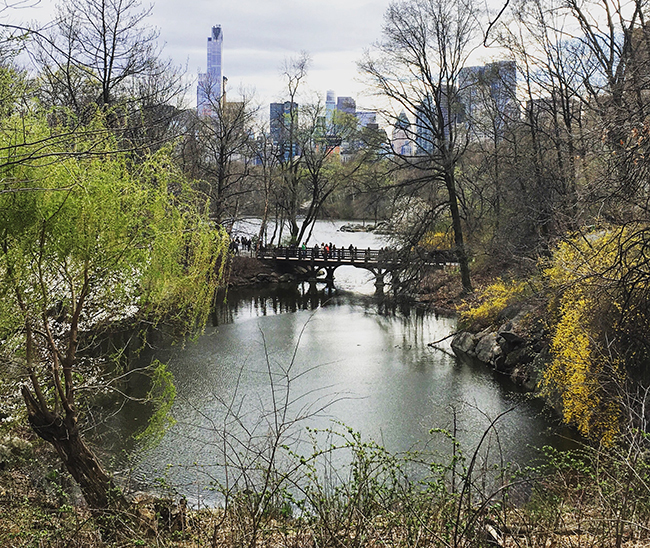 I’m choosing this moment in April – national letter-writing and poetry month – to send a few words from New York. I still consider it my home, and when Spring rolls around, there’s just no place like it. I admit to being somewhat reluctant about leaving warm & sunny Los angeles, but all was forgotten with the first sight of Central Park. A stroll through its tender, fresh blossoms, undamaged by the lingering cold, can cure any travel weariness! 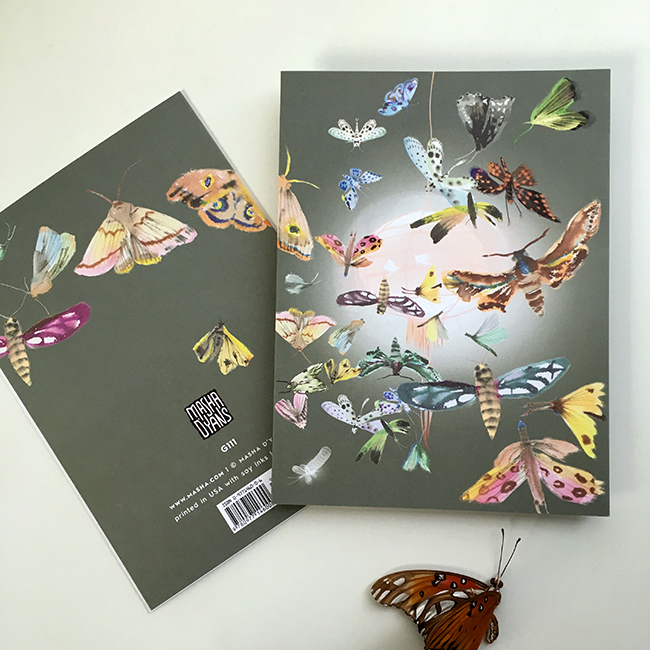 Remember A Poem as Big as New York City, the book I illustrated? The words were written by little children from every corner of this infectious kaleidoscope of a city, and they seem most appropriate at a time like this. Because, along with the glories of Central Park, I also relish discovering new things in familiar corners. 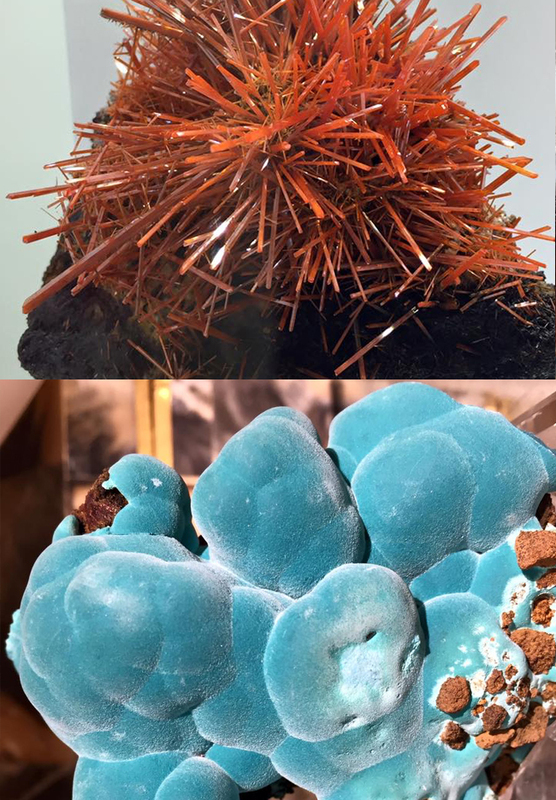 Each time I visit with favorite clients like MoMA and Saks, I find something different – who knew there was a space as magical as Mariani Fine Minerals on the Upper East Side? 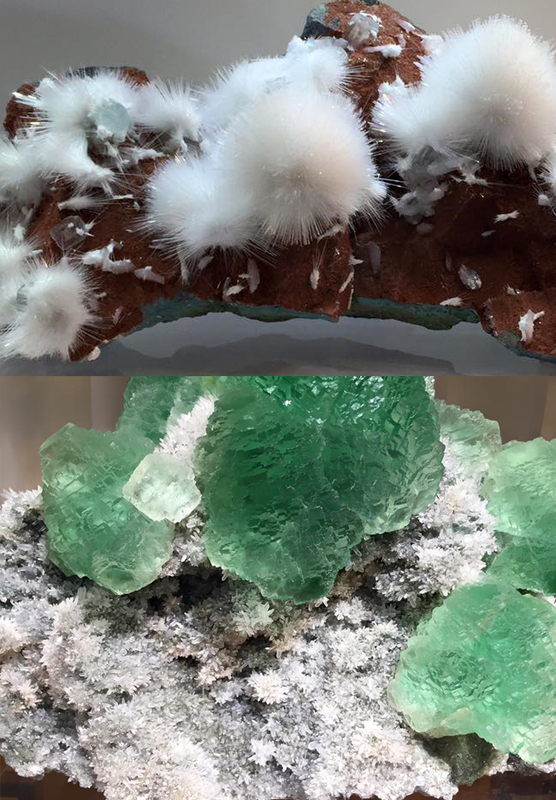 One specimen of their rare and exquisite crystals on display even matched the color palette of a Degas painting from the current MOMA show. You’d be blown away! Wish you were here. I’m sending you a few photos in the meantime. 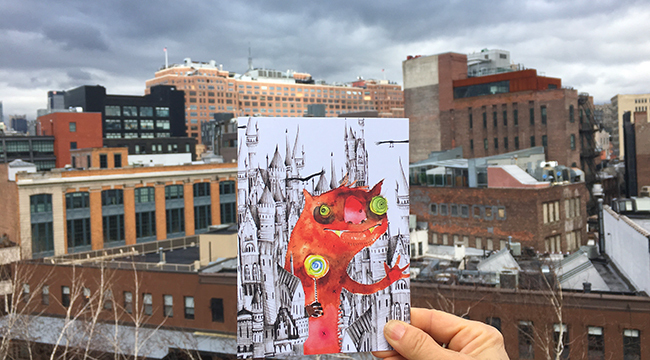 Our Castle Monster at home on the Highline. 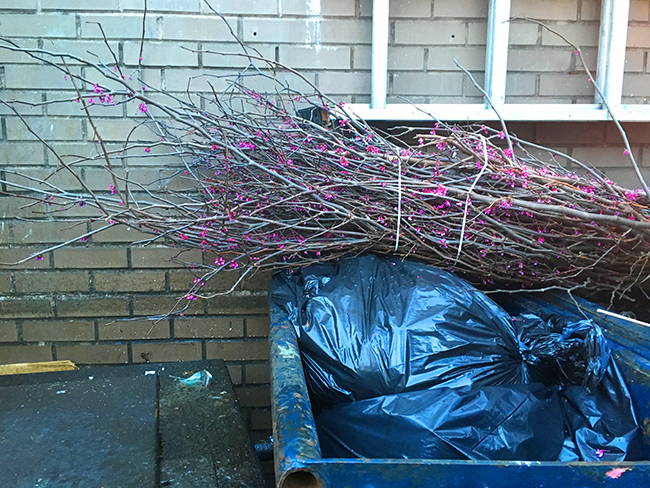 Even NYC garbage is pretty in the spring.